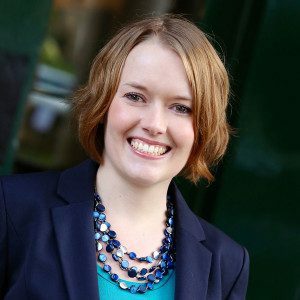 As a small business owner, what’s your approach to content marketing? When done well, content creation can do wonders for your business. 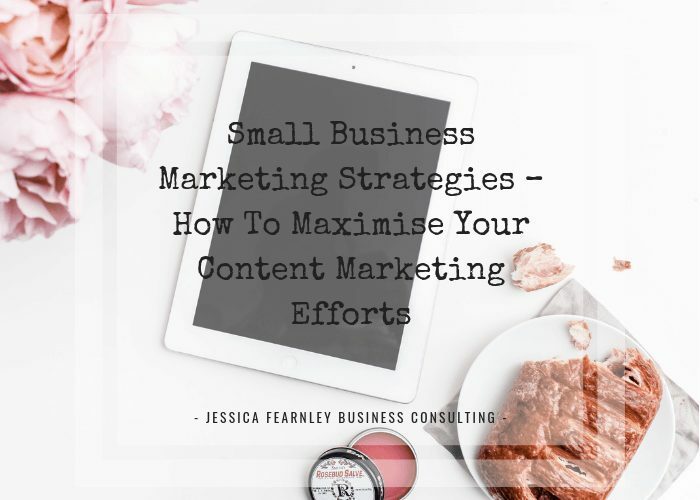 But there’s a lot involved in content creation and promotion, and if you’re not careful it can easily turn into a hugely draining task that doesn’t deliver the results you need in your business. Ask anyone who’s well-established in business, with a regular flow of clients and money, and they’ll tell you their approach to their small business marketing strategies is very intentional. I believe your content creation should be targeted, and in this blog post, I explain exactly why. Content creation can be a great way to grow an audience, get your brand noticed, and start promoting and growing your business. However, I believe it’s not just a checklist exercise. Putting content out there for the sake of it falls under the category of what I call ‘busy work’. And busy work sometimes hides procrastination. It’s a way of avoiding doing the things we don’t feel comfortable with or are scared of. And often these are also the things that will really push our businesses forward. When I first started my business, I was putting out a lot of free content. But I later realised that I was doing that because I was scared of selling. I’d share all this free content in the hope that some people would like me and ask me to work with them. A lot of first-time entrepreneurs, especially women, fall into this trap. But we don’t necessarily make any sales by just creating and sharing content. We make sales by creating informative and engaging content that is relevant to our audience and points towards our products and services. Realising this was a real thunderbolt moment for me and my business. I’d known the theory for a while, but I hadn’t connected all the dots in terms of how my content could point towards what I was selling. And once I got that, I knew I wouldn’t do content in the same way again. Now I’m in a situation where if I create content it’s really targeted towards the people I know are in my audience. And it’s very responsive. I’ll create content around the topics and questions I’ve heard people say or ask me directly or in my community. So let’s try and dispel some of the other myths around content creation as a marketing strategy. Something that a lot of my clients tend to believe when they start working with me is that as entrepreneurs we should be everywhere online. We should be active on every social media platform there is, even the ones we don’t know anything about. Increasing the number of our followers seems to be the ultimate goal. But what we need to remember is that the goal of social media content is to make connections with people. Let’s be honest. Is the number of followers the one metric that determines whether you’ll be successful in your business or not? Probably not. You may be surprised to hear this, but some influencers with very large followings may be struggling to monetise their personal brands. And equally, you may have a social media business account with a small but targeted and engaged audience that is delivering great financial results for your business. Unfortunately, you don’t get paid by just collecting numbers of people to sit on your social media channels. You get paid by selling. And in order to sell, you have to put out regular offers. If you’re creating content on social media for the sake of it and not putting out regular offers, then chances are you won’t meet our target and be successful in your marketing efforts. Should I be active on all social media platforms? Trying to be on all platforms all the time can create a pace in our business that we can’t keep up with long-term. The result? We constantly feel like we’re behind and aren’t doing anything very well. But the truth is that we don’t need to be everywhere. We are much better off being intentional and strategic about creating and sharing content and doing that well on a handful of platforms. So pick the platforms you’re most familiar with and, crucially, where your audience is going to be. Then pick media, formats, and frequency that you can commit to. Don’t promise daily Facebook lives, for example, (much like I did when I first started my own business), if you’re going to find exhausting and give it all up by day 3! Whatever you decide to do, don’t go for visibility for visibility’s sake. Yes, visibility can be a great catalyst towards making more sales and more money in our businesses, but you need tangible results. What does your content lead to? Are you including an opt-in or an upsell at the end of each piece of content you create and share? Is there a way for people to buy what you’re selling as soon as they’ve finished consuming that piece of content? If the answer is no, and if you’re not actually sure why you’re creating the content, then I’m sorry, but you’re wasting your time. One of the lessons I learnt last year in my business when I scaled it down is that you need to create content that points towards the products and services you’re selling in your business. A scattergun approach based on creating a ton of free content for the sake of it isn’t going to cut it. You need to create content that’s relevant to your audience AND to your offers. The bottom line is, you’re doing well as an entrepreneur if you’re making money. Whatever your definition of success may be, and I talk a bit more about that in this post, you’re doing well if whatever you’re selling is actually selling. If the content you’re creating and putting out into the online world isn’t in line with the goals you’ve set for your business, then it’s not serving you. As harsh as this may sound, if content creation isn’t earning you any money, you need to change your approach to it. So make sure that every single piece of content you create has a clear call to action or CTA. Each piece of content you create needs to be part of the overall marketing strategy for your business, and it should allow people to get on the path of working with you. And if you’re not in a position to do that because you don’t know what you’re selling, that needs to be the problem that you solve first. Even if the terminology sounds scary and overwhelming at the stage of business you’re in, I really recommend you start thinking about sales funnels. More experienced entrepreneurs build quite complicated sales funnels, but if you’re just starting out you can keep it simple. Here’s the idea. You have lots of people coming in at the top of the funnel (potentially engaging with your free content), and as they progress down the funnel, some of these people will buy more of your offers. You may start your funnel with free content, but you want people to come through the other side as paying clients. What I will also say about content creation as a marketing strategy for your business is that if you’re not re-purposing the content you create, then you’re just making things really hard for yourself. If you watch the ‘big names’ out there closely enough, you’ll realise they rarely have something brand new in terms of content. And if they do, it’ll be targeted towards a certain offer they have running. So don’t try and re-invent the wheel with content. Have a theme and generate different pieces of content in different formats with the same idea or message. This can serve your business really well because people have different learning styles, different preferences, or may just be in different settings when consuming your content. Re-purposing your content will allow you to reach new and bigger audiences who may not engage with a particular medium. One of the most important lessons I’ve learnt in my business is that content marketing isn’t just about creating content. It’s about making the content do the work for your business. It’s about getting the visibility you need to get people to come to your website, click on your offers and decide if you’re right for them. So tune into your audience and listen to what they want to know more of. Then find a way to communicate with your ideal clients that feels authentic to you but also really works for them. 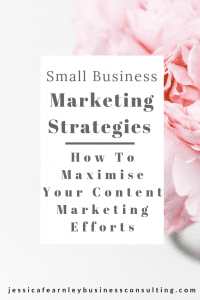 When you combine all this with a clear strategy for your content that aligns with what you’re selling in your business and with your goals at each particular stage, you’ll see a big shift in your business. Want to join my membership? If you’re at the stage in your business where you are just bringing out a new piece of content every day with no CTA or no upsell, stop that now and let me help you create a marketing strategy that works for your business. 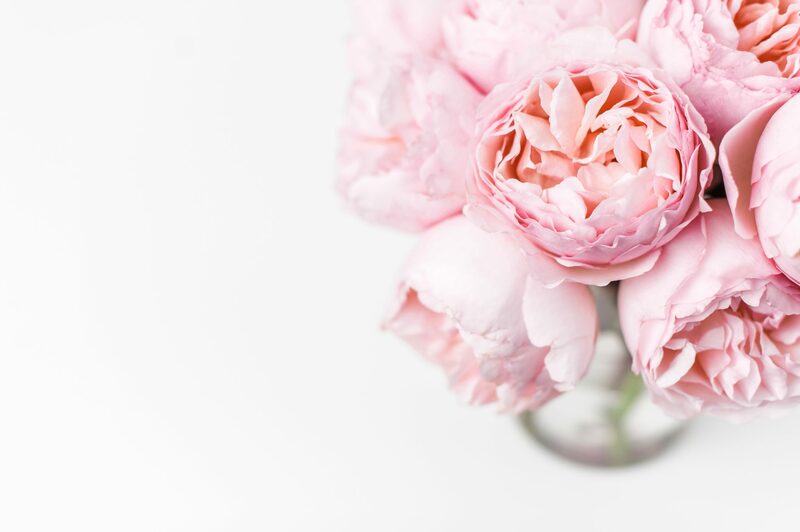 If you’re looking for a low-investment, low-risk way of getting help with this and other strategies that will help you grow your small business, my membership The Business Club for Grown Ups is now open, and you can apply here. Previous PostRunning A Six-Figure Online Business – Is It Right For You?